WASHINGTON — A year ago, an entrepreneur from California came before the House Financial Services Committee, a Purple Heart pinned to his lapel from his Marine Corps service in Vietnam, to plead for the Export-Import Bank — and by extension his livelihood. 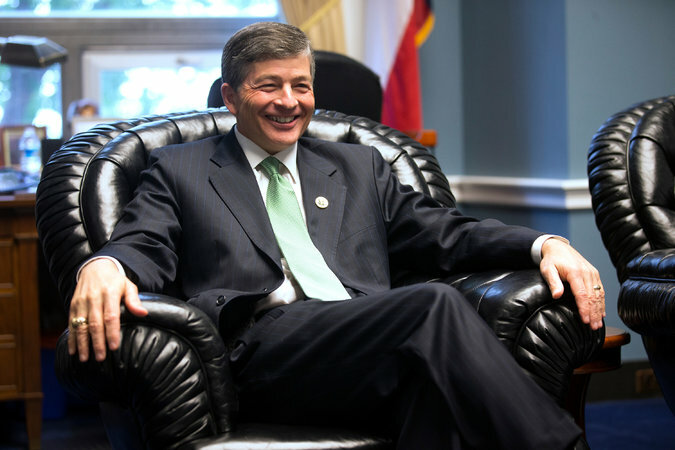 The committee’s chairman, Representative Jeb Hensarling of Texas — seemingly unaware that the man, Steve Wilburn, could not sell his massive garbage-to-gas plants in the United States — demanded to know why he needed loan guarantees to build the alternative energy facilities in Brazil and the Philippines. To this day, Mr. Wilburn speaks of his post-traumatic stress from war and of his “being bullied” by Mr. Hensarling, “the bad guy” on the Ex-Im Bank. Mr. Hensarling shares a different memory, his aides laughing along with him in his House office. Intimidating or not, Mr. Hensarling has made his presence felt — in a series of battles that have divided Republicans, angered businesses that are the backbone of the party and turned once-bipartisan policies into ideological donnybrooks. His fights to scale back federal flood insurance, the Highway Trust Fund and the Terrorism Risk Insurance Act, known as TRIA, ultimately fell short. He began an ideologically tinged investigation into leaks from the Federal Reserve Bank, but it did little to tarnish the central bank. But his fight against the Ex-Im Bank will bear fruit, at least temporarily. Congress went home on Thursday for the Fourth of July recess with the bank’s charter set to expire at the end of June — and no legislative opportunities left to save it. These battles have come at a price, in politics and policy, Mr. Hensarling’s critics say. Early this year, Representative Frank D. Lucas, Republican of Oklahoma, considered challenging Mr. Hensarling for the committee chairmanship, egged on by business lobbyists and some other members of the panel who “thought a different style would be more appropriate,” he said. That plot failed before it started, but ill feelings lingered. 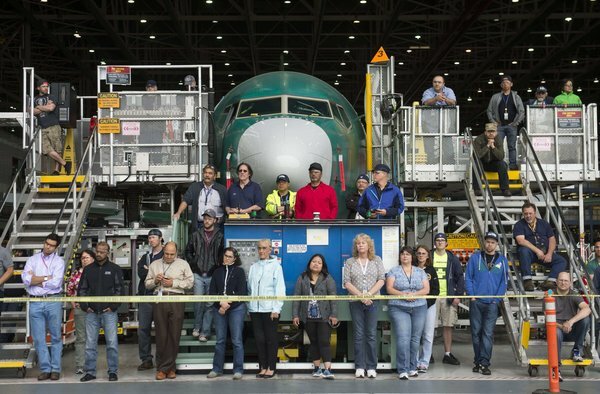 “There is discontent and frustration,” said Representative Stephen Fincher, Republican of Tennessee, whose legislation to overhaul the Export-Import Bank’s charter and extend its life languished in the committee. After his many misses, though, Mr. Hensarling sees the opportunity for a big win in the Ex-Im Bank’s demise. Conservative hard-liners like Senator Ted Cruz, Republican of Texas, relish such talk, especially from the chairman of a committee long known for corporate back-scratching. Mr. Wilburn is a constituent and longtime contributor to Representative Dana Rohrabacher, an Orange County, Calif., Republican, who counts Mr. Wilburn as a friend. But Mr. Rohrabacher says his sympathies lie with Mr. Hensarling. Mr. Hensarling, quick with a quip, is determined to stand his ground. “A chairmanship is a terrible thing to waste,” he said. For Mr. Hensarling, the Ex-Im Bank has been a tailor-made issue — pitting the conservative ideology of free markets and its adherents in groups like the Koch Brothers’ Americans for Prosperity and the Heritage Foundation against the interests of businesses that use the agency, and the Republican and Democratic lawmakers who support them. For more than eight decades, the bank has been helping customers abroad buy exports from the United States by guaranteeing loans from commercial banks. 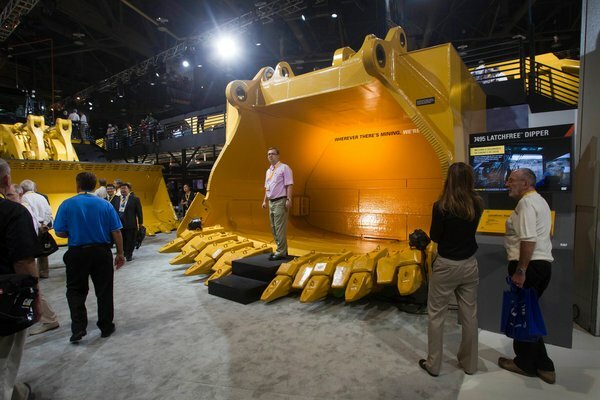 That has been a profitable enterprise, both for companies — most of them behemoths like Boeing, General Electric and Caterpillar — and the federal government, which has made money on the Ex-Im Bank. But, Mr. Hensarling argues, all those loan guarantees make taxpayers vulnerable, just as the federal flood insurance program and the Pension Benefit Guaranty Corporation have weighed down the government’s balance sheet. The implicit guarantee that Fannie Mae and Freddie Mac carried before their implosions in the 2008 financial crisis left taxpayers on the hook for one of the largest bailouts in history. His populist slogans, telegenic presence and resonant voice have long made Mr. Hensarling a conservative favorite. Every shake-up in House Republican leadership has led to whispers of an opening for a Hensarling move, even a speakership. Representative Kevin McCarthy of California, the majority leader, publicly embraced the Ex-Im Bank’s downfall in the midst of one of those Hensarling boomlets, a sign he may have been looking over his shoulder. But Mr. Hensarling’s uncompromising stance on the Ex-Im Bank carries risks for Republicans, who sometimes find it difficult to balance their free-market ideology with their general support for business. The banking chairman has brought along Mr. McCarthy; Representative Steve Scalise of Louisiana, the majority whip; and Representative Paul D. Ryan of Wisconsin, the Ways and Means Committee chairman, to his “Kill ExIm” campaign — but Speaker John A. Boehner of Ohio has been more circumspect. In April, the House speaker told reporters that “there are thousands of jobs on the line that would disappear pretty quickly if the Ex-Im Bank were to disappear.” Come up with a plan to extend it, change it or wind it down, he told Mr. Hensarling, but it was not enough to sit on his hands and let the bank die. Two months later, that appears to be what Mr. Hensarling has done. “If we did nothing, I think the common good would be served,” Mr. Hensarling said. Many House Republicans say that has only left the House vulnerable to the Senate, where moves are afoot to save the bank. In a recent show vote, 65 senators — including 22 Republicans — voted on a procedural measure to extend the bank’s charter. And supporters hope to attach it to the first must-pass bill they can, probably an extension of the Highway Trust Fund scheduled to be taken up after the July 4 break that would bring it back to life after a short demise. “There’s a place for sticking to what we believe in, but there’s also a place for getting as much as we can,” said Mr. Fincher, who predicted that no substantive changes to the Ex-Im Bank would pass if the House can’t counter the Senate’s action. If Mr. Hensarling is worried about that, he isn’t showing it. Mr. Boehner has promised the chairman he will get a chance to amend any Senate bill that comes to the House, but Mr. Hensarling will not share his plans — though, he insists he has them. Posted on July 6, 2015, in Postings. Bookmark the permalink. Leave a comment.